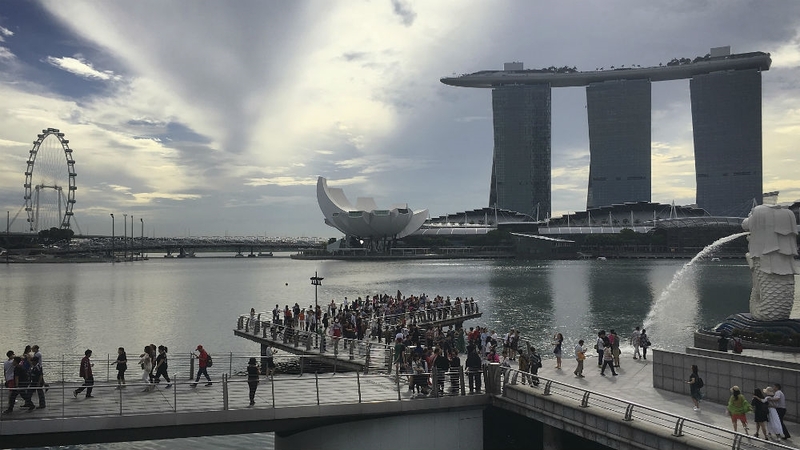 Singapore – Founding father Lee Kuan Yew oversaw Singapore’s growth from a small country with no natural resources to a thriving metropolis – in a style almost invariably described as authoritarian. Lee dominated public life on the Southeast Asian island from 1959, when the former British colony won self-governance, to well beyond his retirement as prime minister in 1990, serving in advisory ministerial roles for more than a decade. His eldest son, Lee Hsien Loong, the third and current prime minister since 2004 (his predecessor Goh Chok Tong was seen by some as merely a seat warmer) has led the country through less combative, more prosperous times. Approaching 67, he wants to step down by the time he turns 70. The founding family appears to be at the end of its run, with no younger Lees apparently willing to continue the family’s political tradition. In a country accustomed to stability and predictability, the dawn of a post-Lee era has fuelled uncertainty. The People’s Action Party, which has never lost a national election and was founded by the elder Lee, last week unveiled its new slate of leaders – the “4G” or fourth generation in Singapore-speak – who the party would like to take control of the government in the coming years. Singaporeans are greeting the new line-up with the kind of coming-of-age anxiety that comes with leaving the familiar. The country’s next general election must be held by April 2021. But Lee has hinted it may be called as early as next year, which would mean it coincides with celebrations to mark 200 years since Stamford Raffles arrived on the island. In 2015, the PAP benefitted from Singapore’s 50th anniversary celebrations – and the emotional farewells following Lee Kuan Yew’s death – to win a decisive victory over fractured opposition parties. The man in line to become the younger Lee’s successor is Finance Minister Heng Swee Keat, 57, who is now the ruling party’s first assistant secretary general. A former central bank chief and education minister, Heng once served as principal secretary to the elder Lee, but two years ago during a cabinet meeting he collapsed from a stroke, triggering questions about his ability to run the country. 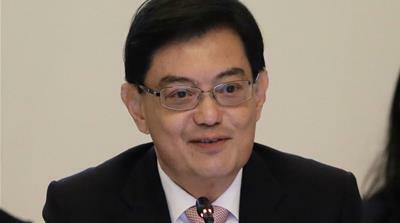 Heng told government-regulated media the “life and death” experience only underlined his commitment to public service. Another story reminded readers that Heng’s first question when he came round in his hospital bed – written on paper because he was still unable to speak – was whether there was a cabinet meeting. The party’s new second in command is Trade Minister Chan Chun Sing, 49, seen as Heng’s chief competitor for the top job. The jockeying among PAP leaders took place behind the scenes, out of public view, and following the announcement the newspapers filled with lavish pledges of unity from former rivals. The largely male leadership was photographed smiling and shaking hands in the party’s regulation uniform of white trousers and white shirts – the shirts sporting a lightning symbol in red circled by a blue ring to symbolise action and racial unity (Singapore’s population is largely ethnic Chinese, but has large groups of Malay and Indian people). 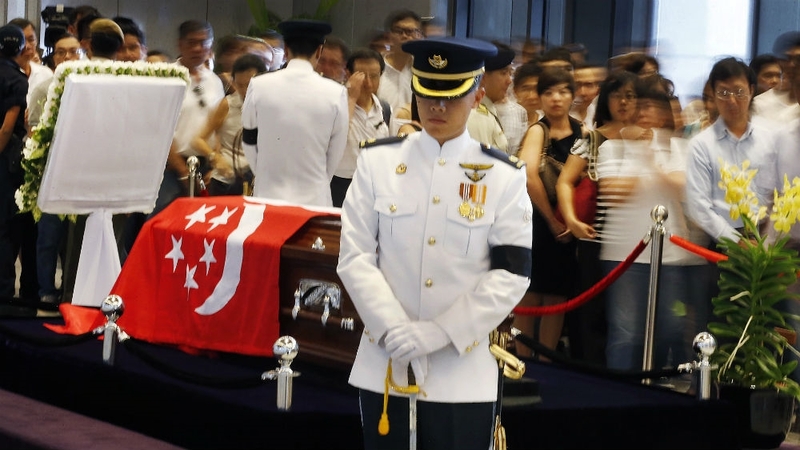 The dawn of a post-Lee era comes comes at a pivotal time for Singapore. The small country – with a population of 5.9 million – plays an outsized role in foreign affairs as a regional ally both to the US and China, while a trade war between the two economic superpowers threatens to spill over into broader conflicts. But the city state is also facing more domestic challenges including income inequality, an ageing workforce, immigration, and the rising cost of living. 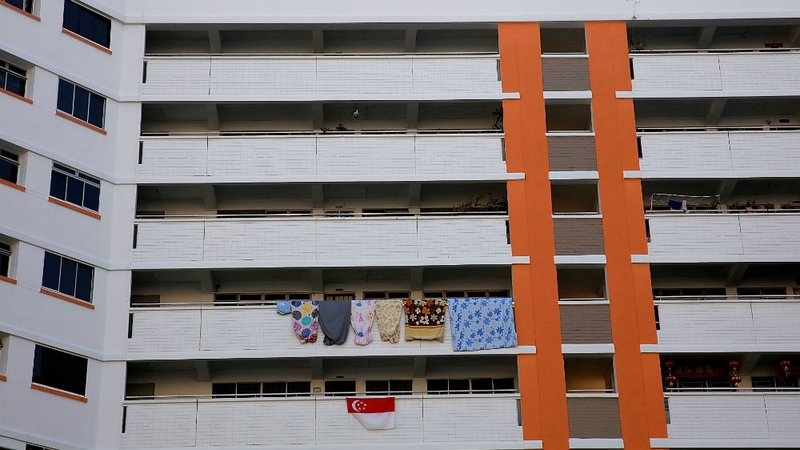 Adding to the mix, a future administration will have to deal with the expiration of the first generation of leaseholds on Singapore’s signature policy of owner-occupied public housing. May’s general election in neighbouring Malaysia, which saw Malaysian voters reject the six decade long rule of the Barisan Nasional coalition – was a stark reminder that regime change can, and does, happen. In relatively wealthy Singapore, inequality has become a key issue in a country that has long been averse to welfare. Singapore’s government leaders are the world’s highest-paid with the prime minister taking home S$2.2m ($1.6m) a year including bonuses. Ministers earn as much as S$1.1m ($800,000). Kenneth Paul Tan, associate professor at the National University of Singapore’s Lee Kuan Yew School of Public Policy, said the country’s traditional focus on personal thrift and meritocracy is not enough to ensure continued prosperity in the face of rising inequality. Younger Singaporeans in particular worry about the growing gap between the kind of fantastic wealth portrayed in the movie Crazy Rich Asians and low-income Singaporeans who struggle to pay medical bills and other basic living costs. They want the country’s next generation of leaders to do more to bridge that gap. “Economic inequality is an important issue to be addressed,” said Jiang Zhi Feng, in his first year at Yale-NUS College and at 21 will be eligible to vote in his first national election. Inequality is not the only problem the country faces. With one of the lowest birthrates in the world, demographics are not in its favour. The SICC’s Mills points to the problem of “a rapidly ageing workforce and a declining number of young people entering the workforce”. “These factors have significant implications for businesses large and small. The same factors also have implications for tax revenue to meet increased social spending in the decades ahead. When you add in the impact of technological developments you add another layer of risk and opportunity,” said Mills. The transition to the next generation of leaders raises questions for some about whether Singapore can still do politics as usual. Certainly, the PAP’s dominance of the political landscape has allowed for long-term planning and policy sustainability, giving the party a legacy of credibility and results-based legitimacy. But it has also meant little change in the way the government operates. Some Singaporeans chafe at the paternalism, while others want to see more diversity in leadership and more transparency and consultation around decision-making. Education researcher Shai Marchant points to the government’s recent attempt to revamp the high stakes examination at the end of primary school. While she gives the government credit for wanting to reduce the pressure associated with the test, she would have preferred more dialogue as “these shifts were not thoroughly explored with the public; the policy was very abrupt with a long-term impact”. Perhaps unlike in the past, other Singaporeans want to be convinced of the next leader’s merit, rather than being presented with a presumptive nominee. Dharmendra Yadav, a lawyer and social commentator, preferred a different candidate: Tharman Shanmugaratnam, a former deputy prime minister who enjoys a popular following but at 61 (only four years older than Heng) was considered too old for the premiership. Regardless, Heng, the PAP’s candidate, has a likely path to victory. Steven Oliver, a political scientist at Yale-NUS College, notes in spite of somewhat more competitive elections in 2011 and 2015, opposition parties in Singapore face significant challenges. “[They] still face substantial disadvantages regardless of when the next election is held [especially because] they have no experience or record in office,” he said. Abu Dhabi GP practice & how great is Alonso?